There are times in our lives when words fail us. Even in our walk with God we can find ourselves speechless. Have you ever wanted to pray but just didn’t know what to say? Maybe you’ve been through a difficult time and you’re wondering if God is still there? You try to pray but the words seem to be stuck in your throat. Maybe you simply don’t know where to start. The . words . just. won’t. come. Today, we have Marva from SunSparkleShine sharing about a topic near and dear to my heart – prayer! We often look at this time of speechlessness as a dry period. One that we quickly want to get over so that we can just move on. But what if we welcomed these dry spells and looked instead for the treasures God has stored up for us? We know that prayer is all about communicating with God. It’s a two-way street in which we speak but we also get to listen to God. Well, in this season there’s a whole lot of listening. Why not welcome it? Here are a few suggestions for how you can do just that. If you’ve ever found yourself without the words to pray, try these suggestions. In the Psalms we find people in the Bible who can relate to us. They’ve been discouraged, overwhelmed, afraid, lost, without hope, you name it. I especially love those Psalms where the psalmist is real with God about how he’s feeling. In those moments of vulnerability, he finds hope. And that’s exactly what we need as well. Psalm 73 is one of my favorites. Here we find Asaph down and discouraged by the prosperity of the wicked. They have no struggles; their bodies are healthy and strong. They are free from the burdens common to man; they are not plagued by human ills. Yet, as he poured out his heart to God, Asaph was pointed back to the truth. Maybe you can’t relate to Asaph’s dilemma but as you read through the Psalms, I bet you will find others that speak directly to how you’re feeling. Until words come: find a Psalm that speaks to the stirrings of your heart and pray those words to God. There are so many beautiful songs that can inspire our hearts when we don’t have the words. Some of my favourites are the hymns that were written by the great songwriters of old. As I wrote this post, How Great Thou Art kept coming to mind. You might like a more modern song. Go with what speaks to your heart and repeat those words of praise to God. Until words come: pray the words of a song of praise and watch God lift your spirits too. My prayer is that we find hope in moments of silence. Don’t be tempted to give in to guilt. Welcome the silence and listen intently to God. He is willing to bless you when you humbly show up before him – with or without your own words. How do you stay in touch with God when words fail you? We’d love to hear from you in the comments. Marva is an island living, sun loving Christian wife and mother. Inspired by John 10:10 she encourages women to slow down and enjoy life to the full, brilliantly. You can find all the latest sparkle on her blog SunSparkleShine as well as Facebook, Pinterest, Twitter and Instagram. Get a free copy of her P.R.A.Y. prayer and scripture cards when you sign up for the Sparkle Highlights newsletter here. Would you like to experience more of the power of prayer in your life? 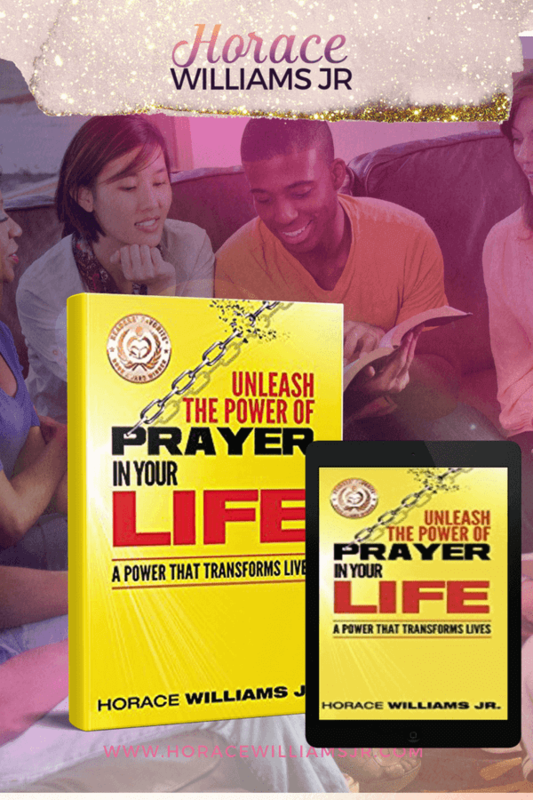 Then my book, Unleash the Power of Prayer in Your Life will inspire you immensely. For a limited time, I’m giving away a free copy of the Kindle version of the book. I would be honored if you would take me up on this offer. Plus, if you’ve already purchased a copy of the book, it would bless me if you would leave a review on Amazon. Your feedback will make sure that the book gets in front of many more eyes, who will prayerfully be blessed by it. I invite you to partner with me by getting your free copy and leaving a review. When words fail me, I walk and spend time with my heavenly Father. The exercise helps with the physical stress and even if I can’t find the words, I know God is there with me. I did this when I was diagnosed with cancer. Thanks, Marva. I like the idea of praying the Psalms when words fail. Thanks for the visit Rachel. I love reading your thoughts on prayer. I consider you a fellow prayer warrior. I love spending time with God in prayer. In times of distress and need, He is always near. I am thankful that Holy Spirit prays for me when the words are hard to come by. Thank you for sharing some wisdom. Have a wonderful week and may God bless you and yours. On the drive home from the hospital after they wheeled my husband into surgery, I simply had no words to pray. God met me in that car and filled me with the tangible peace of His presence. So thankful we don’t need words to pray. Thank you for sharing, Marva and Horace. Great encouragement! Amen Crystal. The peace that God blesses us with is always in His perfect timing. Thank you for your visit and comment,friend. Prayers for you and your husband. God bless. Horace and Mava, I really needed this today. Thank you! Prayer is so important to me and right now I just don’t have the words. While I love the old hymns and songs, I’ll be praying Psalms until the words come to me. Thank you for these encouraging words. Glad to see you old friend. Great to hear from you Lori. I pray God will guide you as you seek to commune with Him. He knows your heart and loves communing with you. Keep the faith and be encouraged. God is with you. Praying for you and your family. Marva, how lovely to read your wise words today at Horace’s! I will be sharing this post with my online prayer group. Thank you Lyli for the visit and your kind words. I was blown away by the words that Marva shared in her post. Such great ideas and tips for praying when the words are hard to come by when we pray. Thank you again for visiting. Have a fantastic weekend and God bless. Thank you Julie for your words of encouragement. I am blessed to read Marva’s post has inspired your prayer life. It was my intention when I wrote this book to encourage Christians and give them hope. Thank you Marva for your amazing post. I look forward to working with you again soon. Blessings. So thankful for God’s song book when words don’t come to me. It’s all there, and God is faithful to hear even the groanings of a full heart! Thanks for this encouragement today. Horace- thank you for sharing this great post! Thank you Julie for visiting today. There is such comfort when we realize God knows our hearts and intercedes for us when we pray. There are so many beautiful words in the Psalms we can use when we cry out to our Savior. Marva did an amazing job reminding us of this in her post. God draws near to us when we draw near to Him. May we always seek Him first in every aspect of our lives. Have an amazing week and may God bless you and yours Julie. I love these tips, Marva! And thank you, Horace for sharing her. The Psalms have been my go to scriptures in the darkest times in my life. It’s in those words that I’ve discovered the true character of God and His delight in me. Thank you for this encouragement today! Visiting from #MomentsofHope. Oooh…we love #MomentsofHope. Thanks for stopping by today and being such an encouragement to us, Alisa. I’m so grateful that we get to partner with you in sharing God’s Word online. Be blessed, my friend! Thanks foe visit today. I’m glad you enjoyed Marva’s tips she shared. Have a great week! Blessings. Hi Ailie, we sure do need those little reminders now and again. I pray that you will blessed! Very good post. I’m sharing it with my Facebook readers! Sarah, thanks for visiting and leaving such an encouraging comment. We pray that your FB readers will be inspired to turn to God regardless of what situation they find themselves in. He’s always there to listen! OH yes, We often forget that listening is part of prayer. It’s a conversation. We should not be doing all the talking. I wrote recently that when we can’t pray we can use the Psalms or a song to pray. dThanks for these wise words. Thank you for visiting. I am glad you enjoyed this post. Have a great weekend and may God bless you and yours. Mandy, we’ve been blessed by your visit and pray that you were too! Thank you! Oh, I love these ideas, Marva and Horace! To pray the Psalms and to pray songs – fabulous suggestions! And, I love that two of my favorite blogging friends are partnering together in ministry! I’m blessed by both of you! Thank youMelanie. Marva has been a tremendous encouragement to me. So glad to read you were blessin by what she shared here today. Have a wonderful week. Blessings to you and yours. Thank you so much for your encouragement and kind words, Melanie. Our prayer is that others will find hope especially in those times when the words just won’t come. Thank you for sharing this and helping us get that message out there! Beautiful truth and great suggestions. I love to sing quiet hymns of praise when I can’t put my prayers into words. I also ask Rev to pray with me. He has often been my words in prayer. Thanks for this Marva and Horace. God’s blessings! Thank you Deb. Praying with a loved one who loves the Lord is powerful. Thank you for visiting and a huge thanks to Marva for writing this post. Have a Happy V-Day and may God bless you and yours in all your endeavors. That’s such a great point, Deb. Having someone else intervene on our behalf is a great way to help us through that quiet spell. The Bible reminds us that the prayers of the righteous are powerful and effective. That’s exactly the kind of prayers I’d love! I hope you and Rev had a lovely Valentine’s Day! Horace, thank you so much for sharing your space with me. I know how special your readers are to you and I’m honoured that you trusted God with the message I’d share today. Your faith continues to inspire me and I pray that you will continue to grow stronger, physically and spiritually every single day. Thank you Marva for your willingness to guest post here at pleasingtothepotter.com. I so appreciate the thoughts you share on prayer. Psalm 23 is a Psalm that I prayed throughout my stroke recovery and continue to do so. There is also a bounty of beautiful prayers in Psalm 119. So glad you mentioned the importance of listening when we pray. Two-way communication makes for powerful prayers. Thank you again dear friend. Have a wonderful V-Day and may God bless you and yours in 2017.